Is Fiesta Restaurant Group Inc (FRGI) A Good Stock To Buy? Hedge fund managers like David Einhorn, Dan Loeb, or Carl Icahn became billionaires through reaping large profits for their investors, which is why piggybacking their stock picks may provide us with significant returns as well. Many hedge funds, like Paul Singer’s Elliott Management, are pretty secretive, but we can still get some insights by analyzing their quarterly 13F filings. One of the most fertile grounds for large abnormal returns is hedge funds’ most popular small-cap picks, which are not so widely followed and often trade at a discount to their intrinsic value. 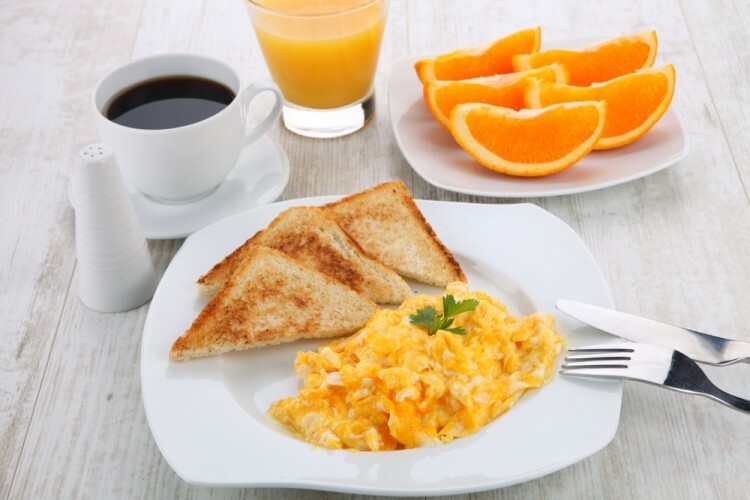 In this article we will check out hedge fund activity in another small-cap stock: Fiesta Restaurant Group Inc (NASDAQ:FRGI) . Is Fiesta Restaurant Group Inc (NASDAQ:FRGI) undervalued? Investors who are in the know are undoubtedly becoming more confident. The number of bullish hedge fund bets grew by 4 lately. FRGI was in 21 hedge funds’ portfolios at the end of September. There were 17 hedge funds in our database with FRGI positions at the end of the previous quarter. At the end of this article we will also compare FRGI to other stocks including Republic Bancorp, Inc. KY (NASDAQ:RBCAA), Chegg Inc (NYSE:CHGG), and Intrawest Resorts Holdings Inc (NYSE:SNOW) to get a better sense of its popularity. What does the smart money think about Fiesta Restaurant Group Inc (NASDAQ:FRGI)? Heading into the fourth quarter of 2016, a total of 21 of the hedge funds tracked by Insider Monkey held long positions in this stock, an increase of 24% from one quarter earlier. 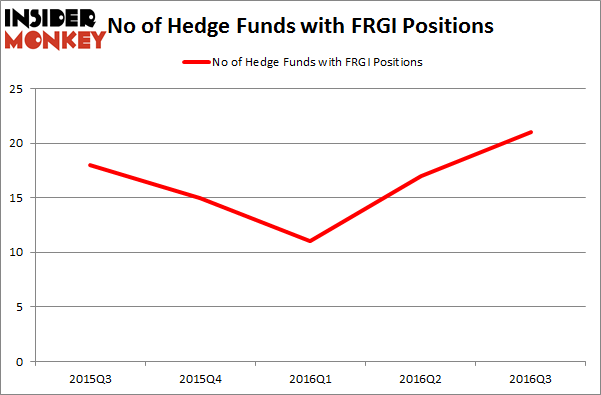 The graph below displays the number of hedge funds with bullish position in FRGI over the last 5 quarters. With hedge funds’ positions undergoing their usual ebb and flow, there exists a select group of notable hedge fund managers who were upping their stakes substantially (or already accumulated large positions). According to publicly available hedge fund and institutional investor holdings data compiled by Insider Monkey, Scoggin, led by Curtis Schenker and Craig Effron, holds the most valuable position in Fiesta Restaurant Group Inc (NASDAQ:FRGI). Scoggin has a $18.4 million position in the stock, comprising 3.2% of its 13F portfolio. Coming in second is HG Vora Capital Management, led by Parag Vora, holding a $14.4 million position; 1.9% of its 13F portfolio is allocated to the stock. Remaining peers with similar optimism encompass Renaissance Technologies, and Gregg J. Powers’ Private Capital Management. We should note that Starboard Value LP is among our list of the 100 best performing hedge funds which is based on the performance of their 13F long positions in non-microcap stocks. Hedge Funds Are Still Buying Novanta Inc (USA) (NOVT) Is Northstar Realty Europe Corp (NRE) Going to Burn These Hedge Funds? Hedge Funds Don’t Think Very Highly of Annaly Capital Management, Inc... Is Nordic American Tanker Ltd (NAT) A Good Stock to Buy? Is Liberty Sirius XM Group (LSXMK) A Good Stock To Buy? Should You Avoid Nationstar Mortgage Holdings Inc (NSM)?